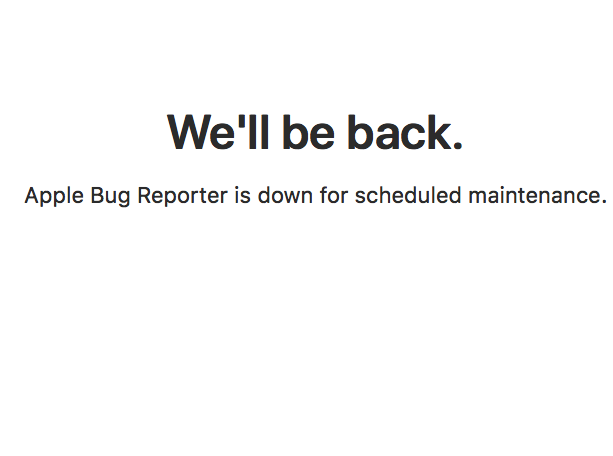 Apple’s ‘Bug Reporter’ is currently down right now for maintenance. I believe that Apple is updating the Bug Reporter for everyone has the new UI. 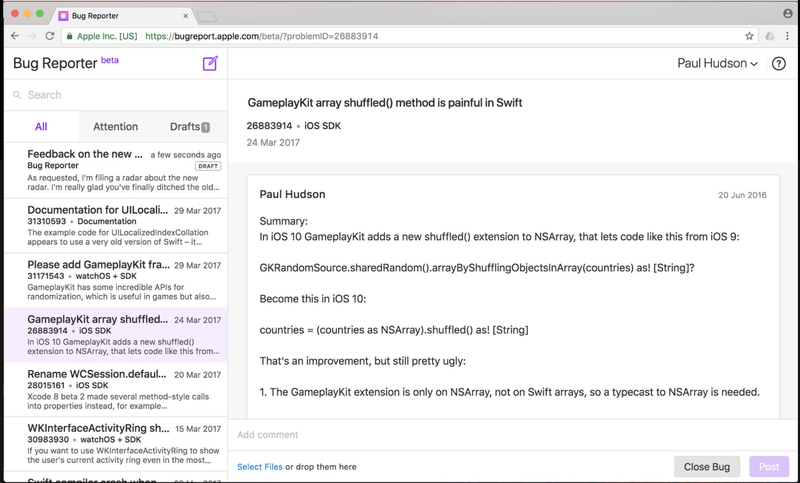 Apple launched a new UI for the bug reporter in late April. It was only limited to Apple Developers and it was in Beta. We’ll see if Apple rolls it out for everyone. UPDATE Jun, 25th 8:31 AM CDT: Maintenance completed with the new UI.